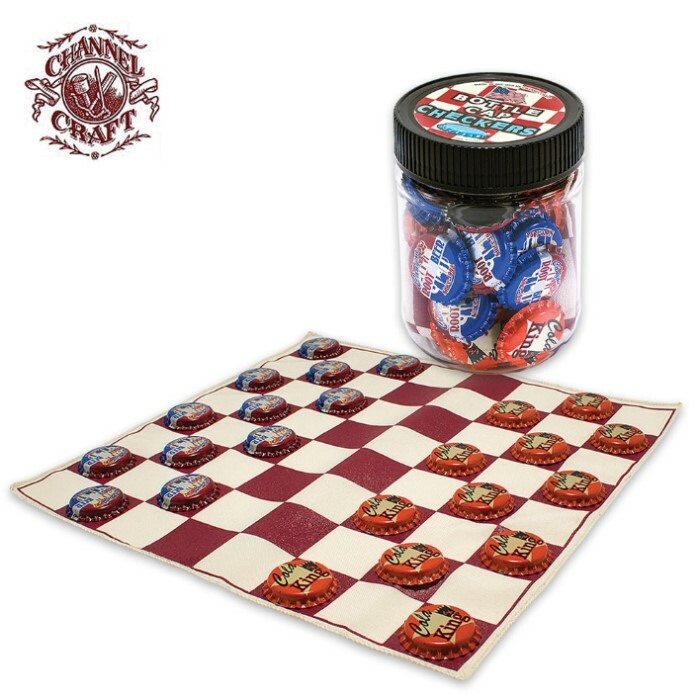 Bottle Cap Checkers Game | BUDK.com - Knives & Swords At The Lowest Prices! 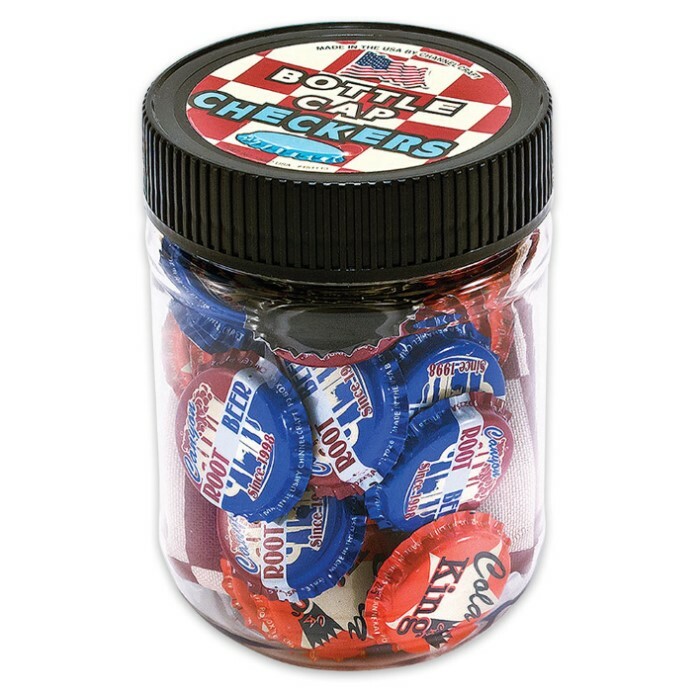 A reminder of days gone by, retro-inspired bottle caps are the playing pieces for this classic game. The wrinkle-resistant 8"x8" fabric checker board and retro checkers all fit in a plastic jar. 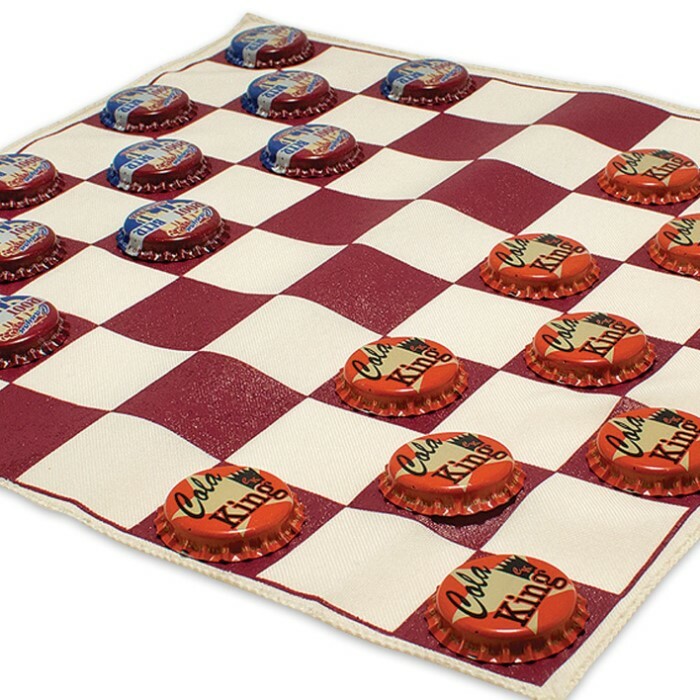 The added bonus is the included 20-page handbook on the history of this classic game and the game rules.